There will be copies from the new pressing of this CD available for sale at the Jamboree! This Fund Raiser CD highlights the Challenger Baseball Song. The lyrics for this song were co-written by the Lindenhurst American Little League Challenger Division Director, Anthony Chironno, and his long time friend, Ben Rudnick. This song is performed by "Ben Rudnick and Friends" and has been endorsed by National Little League. This CD is being utilized as a fund raising item with the proceeds from the sale of this CD going to support individual Challenger Division programs within the United States and internationally as well. In addition to the Challenger Baseball Song, Ben Rudnick and Friends have included five of their most requested songs, guaranteed to delight the entire family. Please support Long Island's first Challenger Baseball Jamboree by purchasing this CD at this event. Encourage others to purchase them at a mere $5 per copy. In addition to supporting future Jamboree events, contributors will have an enjoyable music CD the whole family can enjoy as well! 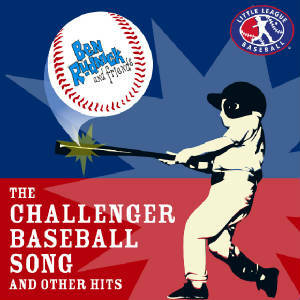 To Download the Challenger Baseball Song ringtone FOR FREE, <Click Here>.